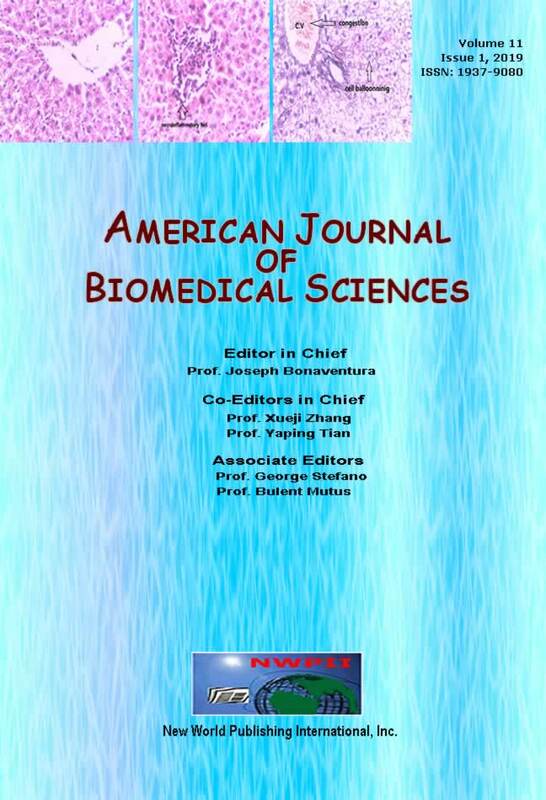 American Journal of Biomedical Sciences (AJBMS) (ISSN: 1937-9080 Online) publishes peer-reviewed scientific papers of significance in all areas of biomedical sciences. Types of articles include original research papers, short research communications, reviews/mini-reviews. Accepted papers are published online. Fast publication: The Journal is achieving a fast publication time of two to eight weeks from submission to publication. Manuscripts with significant results will be reviewed and published even faster. Quality articles: The Journal publishes papers based on original researches that are judged, after editorial review, to make a substantial contribution to the understanding of an area of biomedical sciences. The work has not been published previously or submitted elsewhere for review and copyright transfer. The authors may suggest names of reviewers for thier manuscipts. Open access: Scientific studies about citations of papers have indicated much higher citation rate of open access articles. A more recent study suggests that open access articles in the biomedical field are 2-3 times more likely to be cited than closed access articles. Each article published by American Journal of Biomedical Sciences is open access, freely available to any researcher/scientist. Full text xml version is small and allows proper search, link, index, store, beautifully presented in PDF.